Please use this page to guide you whilst carrying out the questions on the following page. A preview of what the completed email should look like is on the final page. Please ask your trainer if you need any help. Create a new email called “[yourname] newsletter”. 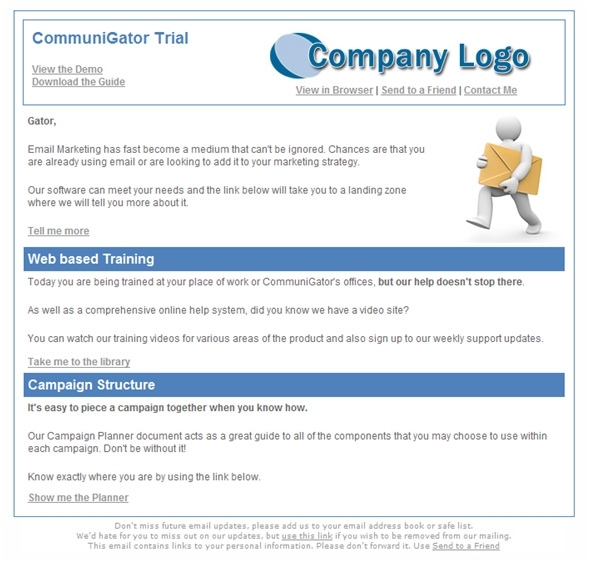 ‘Save and Close’ the email and use the ‘HTML Preview’ link to see your design. Your email should look similar to the picture above.